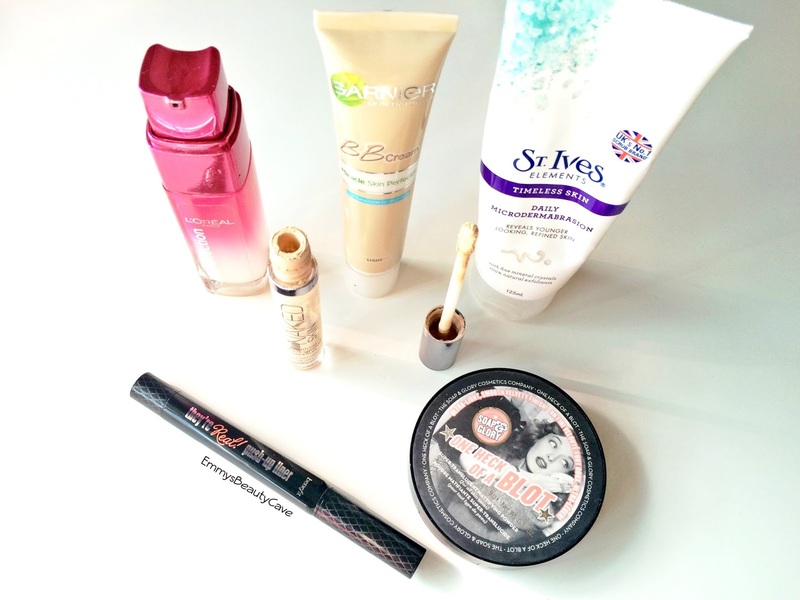 I can't believe i have been blogging a year and never done an empties post! I have recently used up quite alot of products over the last month so thought it was about time i did one. I always love to read other peoples empties as its a great way to see what people really think of the products. First up is the L'Oreal Advanced Correcting Serum which has lasted me a good few months. This range is aimed at people in their 20s-30s and i have to say it is amazing. It retails for £16.99 but is always on offer in boots. I apply this every morning and it instantly refreshes my skin and i have noticed my skin definitely looks healthier and not as dull. Repurchase: Yes, i already have! Secondly is the Garnier BB Cream for Oily/Combination Skin. I usually love full coverage so a BB Cream has never done it for me until now! This BB Cream provides amazing coverage, definitely medium and it is buildable. I am also amazed at how well this keeps my oily skin at bay. I think especially in the winter with the colder weather this will definitely be my go to over a full coverage heavy foundation. St Ives Timeless Skin Daily Microdermabrasion Face Scrub works wonders! I use this scrub everyday and find it especially helps when i have breakouts or dry areas. It has that "gritty" feel too it which is what you want in a face scrub. Since using this my dry patches have completely vanished! If you read my blog already you will know i have raved about the Urban Decay Naked Concealer many times. I can finally say i have run out! I use this concealer more for highlighting rather than for my under eyes. There isn't enough coverage for my under eyes as they are very dark but i picked this up a few shades lighter and it looks gorgeous to highlight. The Benefit They're Real Eye Liner is my new holy grail! If like me you have never been any good at winged eyeliner then this is for you. It makes it super easy to create the perfect wing, dries quickly, extremely black and lasts all day! This has lasted me many months and i will never use anything else. 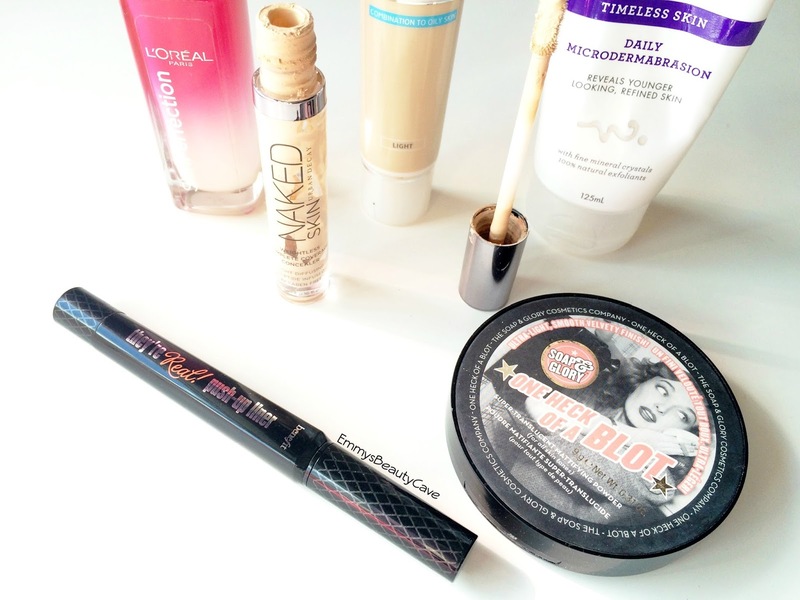 Lastly we have the Soap and Glory One Heck of a Blot Powder which for me is a underrated product. It is a translucent powder which claims to keep you matte. One of the best powders i have ever used, hands down! It keeps me matte for hours. I keep this in my bag to do touch ups during the day but i find i only need to touch up once compared to my usual 3-4 times! Been wanting to try the get real mascara for awhile! You've made all of these products sound so incredible! Love St Ives face scrubs, they always leave my skin feeling really soft and refreshed! Really tempted by One Heck of a Blot too! I have that Benefit liner but I've yet to use it! You've convinced me to pull it out tomorrow and give it a try! OOOHH I love an empties video!! I really need to get my hands on the UD concealer, you always go on about it! I'm also loving my soap and glory powder at the moment! I always love empties posts! I just really love seeing what people use up and I always feel like the opinions are more honest by the end of it.